This project saw major renovations to the former Norwichtown Mall. Stop & Shop remained as the major anchor while the remainder of the building was reduced in size, "de-malled", and upgraded for a variety of new tenants. 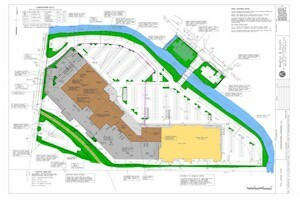 Meehan & Goodin provided land survey, site engineering, and regulatory permitting services for the renamed Norwichtown Commons.